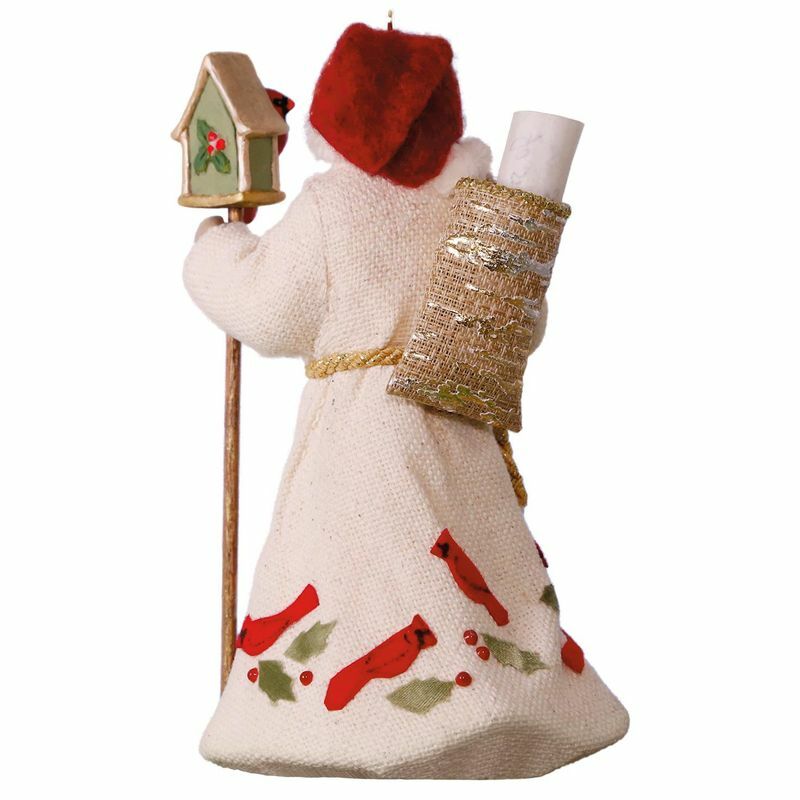 This ornate, old-world Santa Claus Christmas tree ornament carries a scroll in his pack that bears a reminder of the happy and lasting memories the holiday season brings. 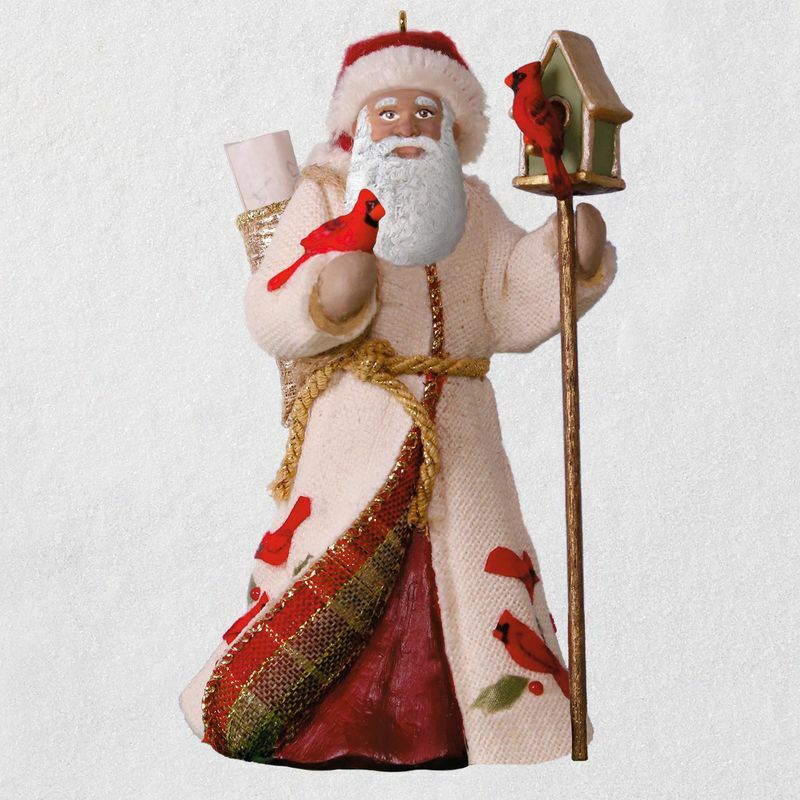 Decorated with symbolic cardinals, this lovely figurine ornament radiates the spirit of the season. Coordinating Father Christmas's Reindeer ornament sold separately. On ornament: (scroll) Christmas brings happy memories that warm us all year long.